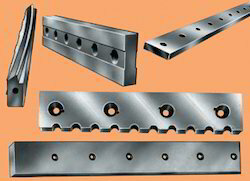 Wudtools manufacturers Knives for Steel Mills & Sheet Metal Industries. Slitting of very thin Metal Strips, which requires clean cut-Burr free, long runs between grinds. Carbide Knives are recommended for silicon gang slitters, slide trimmers and rotary shears for tough materials where steel knives blunt off early or produce unsatisfactory results. As per the requirements of Customer. AISI - D2 / HSS / Tungsten Carbide Inlaid. 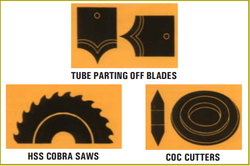 Wudtools is well known manufacturer and supplier of Knives & Saws used in Tube Making Industries. Various sizes are made as per the drawing of the customers. Owing to our expertise in this domain, we are engaged in offering our clients Carton Slitting Blade. 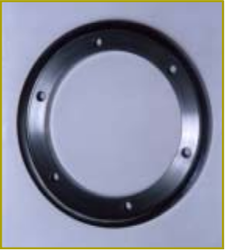 The offered flakers are resourcefully developed by experts of market with the new technology. These flakers are well developed as per tools market standards. Besides, our customers can have these flakers from us in several packaging options at reasonable rates. For shearing sheets up to & including 6 mm mild steel (63,000 PSI) or its equivalent in tensile strength. Various sizes as per the drawing of the customers. We make Shear Blades and other Straight Knives upto 4000 mm or 160 inches long to meet every application. AISI-D2 / AISI-S1 or as per the requirement. 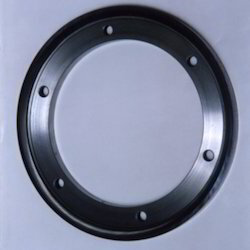 Made from a special analysis high carbon high chrome tool steel. Custom made to fit specific requirements to assure maximum cutting life. Exclusive WUDTOOLS heat treating methods, using automatic electrically controlled furnaces, impart uniform hardness throughout the blade. In production shearing, this uniformity of metallurgical structure provides keen cutting services life well beyond that of ordinary blades. But most important reasons for a good shear blade are to be found in the way they are made. To slit or trim any metal-mild steel, galvanized strips, stainless steel, silicon, tin plate, brass, copper or aluminium - you can rely on wudtools Slitter and Trimmer Knives to do a better job at lowest possible cost. 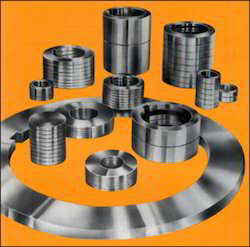 Our range includes Alloy Steel, HSS and Carbide Knives. Used with Slitting Cutters on Slitting lines for getting correct slit width. Hardened & tempered to withstand stains & maintain all dimensions. Tolerance in thickness & parallelism are as per customer's requirements. Looking for KNIVES FOR STEEL MILLS & SHEET METAL INDUSTRIES ?